In the summer of 2010, Mashail started volunteering for an NGO in her own city, where she taught orphaned children and helped them get access to free education during their school break. As of today, she has volunteered with over thirty local and international organizations to help orphans, refugees, people in slums, children with disabilities, underserved communities, and educational initiatives in Saudi Arabia, Jordan, India, Kenya, Sri Lanka, The Philippines, Turkey, and other countries. Mashail is an SAP Certified Application Associate, an ex-Google Student Ambassador, and a Global Fellow at the American Middle Eastern Network for Dialogue at Stanford (AMENDS). 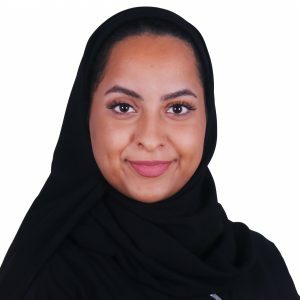 She also worked internationally as a member of the first Saudi Young Leaders Exchange Program (SYLEP) in the US in 2014, a Human Rights Delegate at the Harvard Project for Asian and International Relations (HPAIR) conference at Harvard University, where she won the first place in 2016, and a collaborator with the MIT Media Lab Learning Initiative. She worked as a visiting student researcher at King Abdullah University of Science and Technology (KAUST) and published her first research in collaboration with diverse and talented postgraduates at the 2016 IEEE Sensors Applications Symposium in Catania, Italy. Her other publication was in the field of Renewable Energy and was published in 2017 by the IEEE. Mashail is also interested in the field of business. She has received the Project Management Professional (PMP) training to enhance her project management skills, and she also participated in several business programs at Harvard Business School, Tuck School of Business at Dartmouth, UC Berkeley, MIT, Stanford University, INSEAD, and IE Business School. More recently, she became a certified Business Analyst. Mashail believes in the significance of cross-cultural education, getting out of the comfort zone, and exploring new aspects of one’s self. During her participation in several national and international programs, Mashail met many amazing people worldwide, with whom she exchanged different knowledge, stories, issues, and experiences. All these shaped her into the person she is today. Being a Muslim Saudi woman, I am often misrepresented in the media. So I am here to tell my story with my own voice, not through sound bites or a caption. I may have faced many challenges being a woman in a conservative society, but I also had a lot of opportunities.